After grey start to the morning, it ended up as a glorious day. I originally had little to report, after drawing a blank at Staines Reservoir at first light, then doing the same at Staines Moor - apart from hearing a Cetti's Warbler in the bushes on the walk down from parking my car. Rob Innes noted a couple of Lapland Buntings flying over while I was there, but needless to say I didn't spot them. That's two lots of Lap Bunt I have missed in a row. 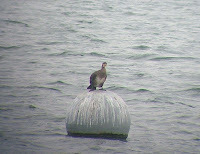 It didn't bother me too much as I got great views of them at Beddington a few weeks ago. It was looking like one of those mornings which I start off in hopeful mood and then end up baffled as to why I didn't see anything. Luck was on my side, however, as I took the decision to drive past the reservoir on my way home. I'd met up with Bob Warden first thing, and I surmised that if his beat-up old Golf was still parked at the side of the road there must be something worth seeing. His car was still there so I went for another look. Sure enough, he had spotted a good bird, one that he had yet to see on the reservoir before. 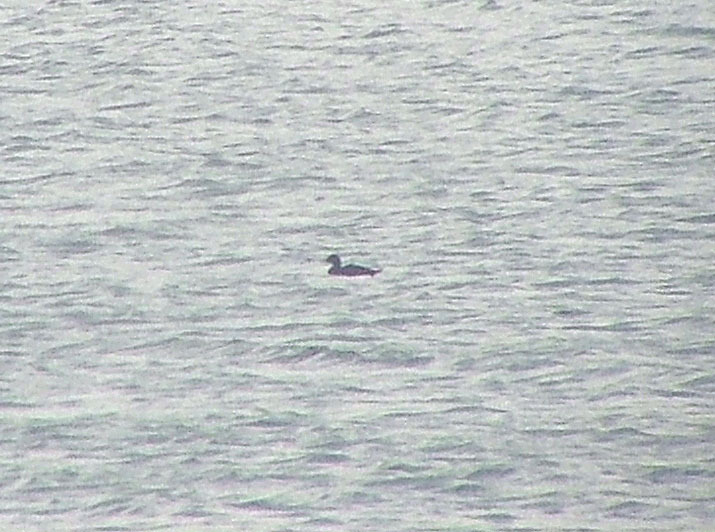 A Common Scoter (154) was on the south basin. 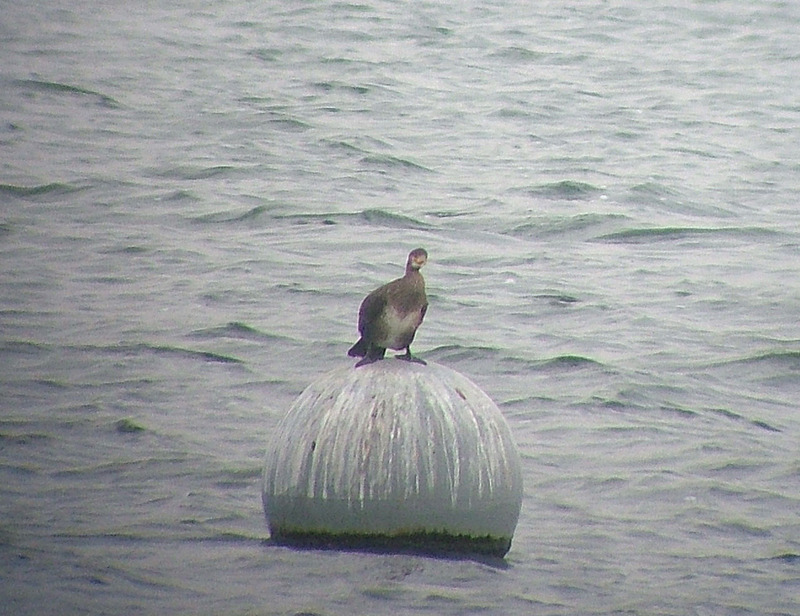 I just managed to get a look through Bob's scope when it flew off over to the KGVI Reservoir. We thought that was going to be it, but fortunately about 30 minutes later it came back, and this time it stayed long enough to get good views. 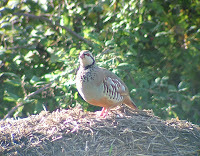 Later I went over to South Nutfield to see if I could find a Corn Bunting, but no luck, just Red-legged Partridge (probably less than were there first thing, as plenty of gunfire was going off in the surrounding fields), a Yellowhammer, a couple of Buzzards, a Sparrowhawk and a Kestrel. Sue and I went for the Corn Bunting too, Neil. No luck either, but we did have nine Grey Partridges (which I am going to tick! ).